Real Money Prizes offered by Bettors.Club via Neteller! 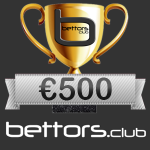 In this month Bettors.Club will give away to the Best Tipsters prizes up to €300 Real Money. 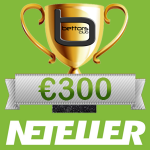 The participation is FREE and prizes will be rewarded in the tipster’s Neteller account.